Disney XD debuted a DuckTales sneak peek at the D23 Expo today and you can now watch it below. The clip is from “Daytrip of Doom!” where Huey, Dewey, Louie and Webby have an epic dart gun fight that ends up a little more intense than some of them are comfortable with. 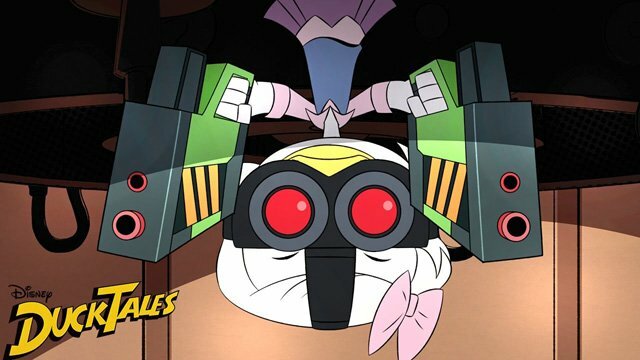 The new animated comedy adventure DuckTales will premiere in a one-hour television movie to be presented for 24 consecutive hours, Saturday, August 12 (beginning at midnight EDT/PDT), on Disney XD. Then, the series will debut with two new episodes Saturday, September 23 (7:00 a.m., 11:00 a.m., 2:00 p.m., 5:00 p.m., 8:00 p.m., 10:30 p.m. EDT/PDT). Each will also be available on the Disney XD app and Disney XD VOD on these same dates. Check out the new DuckTales opening and theme song below, along with the new poster in the gallery! Recurring guest voices include Lin-Manuel Miranda (Broadway’s “Hamilton,” Disney’s Moana and Mary Poppins Returns) as Duckburg’s favorite hero Gizmoduck (his alias is Fenton Crackshell-Cabrera), Allison Janney (The West Wing) as Scrooge’s old flame Goldie O’Gilt, Margo Martindale (The Americans) as the ruthless villain Ma Beagle, Paul F. Tompkins (Bajillion Dollar Propertie$) as lucky duck Gladstone Gander, Kimiko Glenn (Orange Is the New Black) as well-traveled teen Lena, Jim Rash (Community) as mad scientist Gyro Gearloose, Josh Brener (Silicon Valley) as tech billionaire Mark Beaks, Keith Ferguson (Gravity Falls) as Scrooge’s archenemy Flintheart Glomgold, Eric Bauza (Marvel’s Ultimate Spider-Man) as Beagle Boys and Corey Burton (Star Wars Rebels) as scientist Ludwig Von Drake. 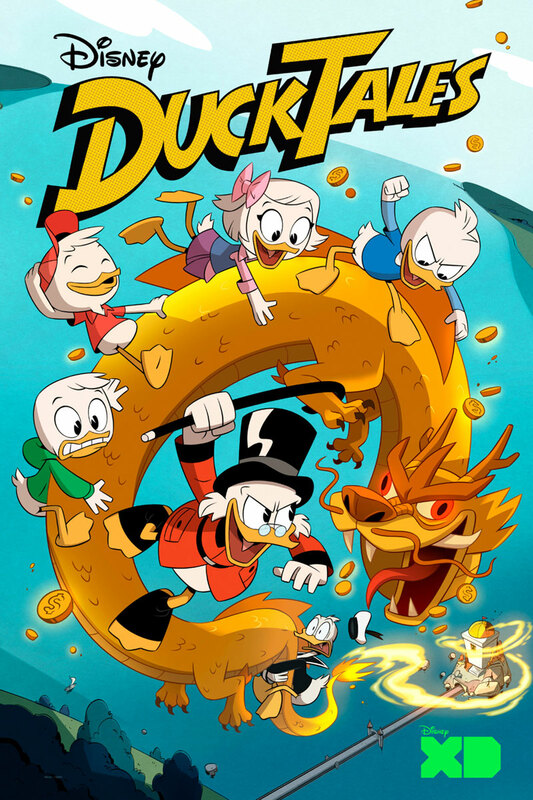 DuckTales is executive produced by Annie Award-nominee Matt Youngberg (Ben 10: Omniverse), with Francisco Angones (Disney XD’s Emmy Award-nominated Wander Over Yonder) serving as co-producer and story editor, and Sean Jimenez (Disney XD’s Annie Award-winning Gravity Falls) as art director. The series is a production of Disney Television Animation and carries a TV-Y7 parental guideline.